Description: New genuine Acer Iconia Tab ac adapter charger. 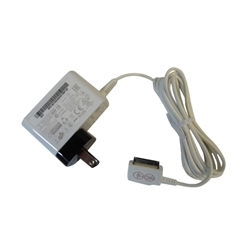 This power adapter works with select Acer tablets and is 18 watt, 12V, 1.5A. This comes with a black US plug. Part #'s: KP.01801.003, NC.20411.01A, 27.K2102.001, 27.L0MN5.005, R33030.